Police are appealing for witnesses after tools were stolen from another vehicle at Tamnamore Park and Ride on Tuesday, November 29. Sometime between 6am-12pm a white Volkswagen Caddy van was broken into and a Mikiti drill and an Ozone generator stolen. If you can help police call 101, quoting reference 451 of 29/11/2016. 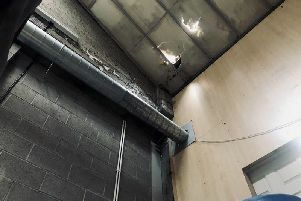 Just last week, Mid Ulster Councillor Malachy Quinn urged users of the facility to be vigilant after receiving reports of vans being broken into and valuables being stolen. A member of the public contacted this paper in September to highlight the problem, and said he knew of at least 10 instances of thefts from vehicles parked there.